Featuring Oregon's finest golf, Sunriver Resort is a golfer's paradise and an ideal choice for a Northwest Golf vacation. Each of Sunriver Resort's four golf courses was designed by an acclaimed architect. Crosswater, a recipient of a host of national golf awards, was designed by Bob Cupp. Meadows, one of Oregon's most unique golf courses, was designed by John Fought. Robert Trent Jones Jr. was the mastermind behind The Woodlands, regarded by many as Oregon's finest championship golf course. Caldera Links, another Bob Cupp design, is a family-friendly nine-hole course that makes the game of golf approachable for all skill levels. Graced with carefully preserved wetlands, forested meadows, and sparkling waters, Sunriver Resort offers 63 holes of the best golf in the West. Please call 541-593-4402 for current rates. 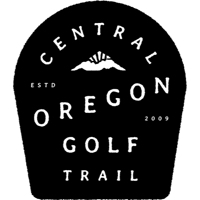 Call 541-593-4402 for rates and tee times. Contact Sunriver Resort - Woodlands at 541-593-4402 for more information and details on holding a golf outing at the course. Contact Sunriver Resort - Woodlands at 541-593-4402. Contact Sunriver Resort - Woodlands at 541-593-4402 for onsite or nearby dining options. This profile was last updated on 01/12/2015 and has been viewed 8,148 times.